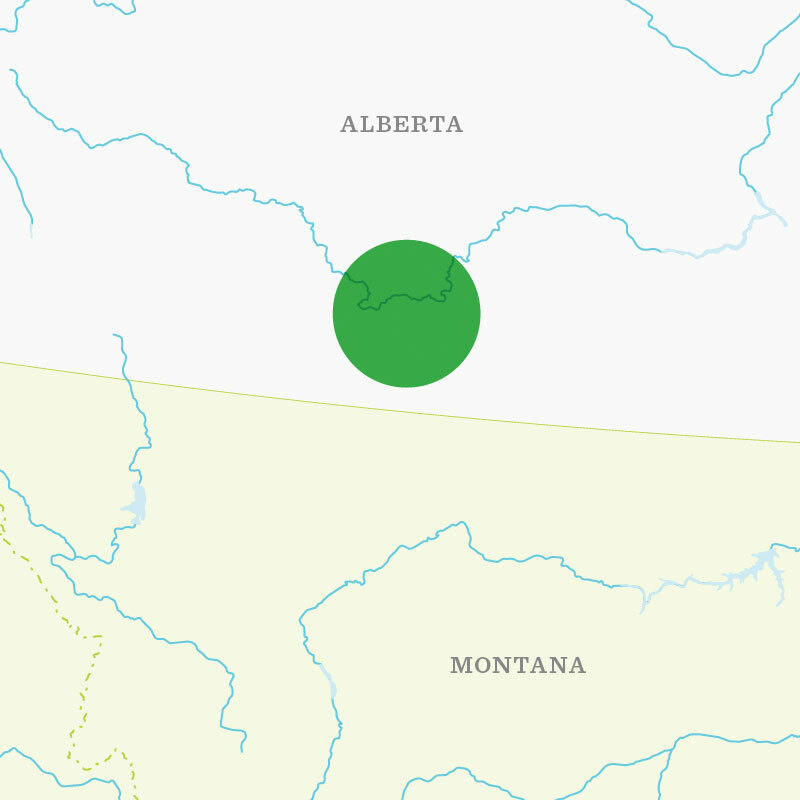 This region has three growing areas: Carmangay, midway between Calgary and Lethbridge, Queenstown, on the Siksika Indian Nation, and Bow Island, east of Lethbridge. Irrigation water for this region flows from the Canadian Rockies. The water is delivered by a canal system. All of this area is irrigated by sprinklers, the majority is by pivots.